Aldelo POS Pro restaurant software offers sit down dining establishments and bars a fantastic way to manage customers, employees, and inventory, all from a single software package. 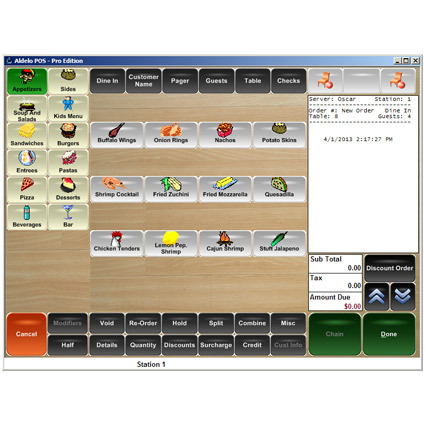 Built on the award winning Aldelo Pro for Restaurants (formerly NextPOS), Aldelo POS Pro is a great solution for integrating and streamlining day-to-day restaurant operations. 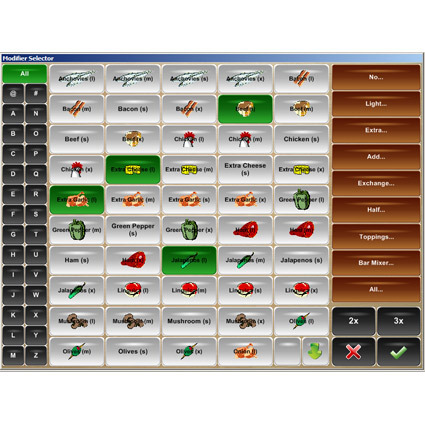 Integrating menu and inventory in the software, Aldelo POS Pro allows you to tie ingredients and portions to menu item recipes, automatically reducing counts and letting you know exactly when you´re out of an ingredient. With reorder points and easy forecasting, Aldelo POS Pro saves you time and money, taking the guesswork out of restocking your inventory. 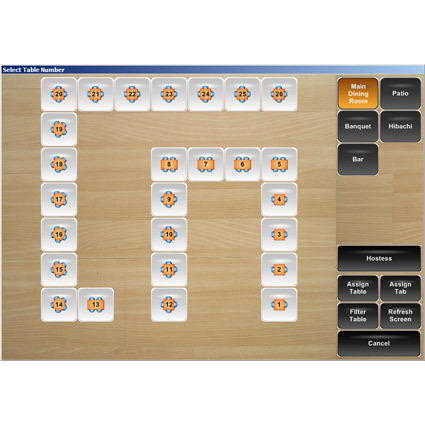 The touchscreen interface of Aldelo POS Pro is spacious, providing ample space between buttons for greater order accuracy. 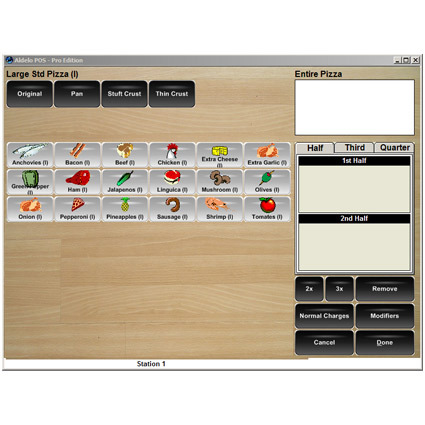 The software supports multiple levels of modifiers and special instructions, excellent for customizing an order to meet a diner´s dietary needs. Aldelo POS Pro integrates with their EDC platform for credit card payment, streamlining the process and giving you greater security when running their card. 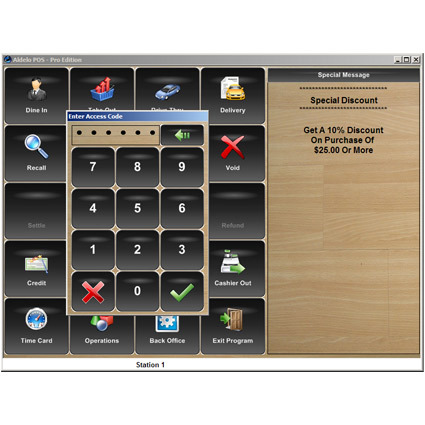 With optional add-on packages, including biometric and gift card functionality, Aldelo POS Pro is a versatile and terrific restaurant software solution. Aldelo EDC card processing requires Windows 7 pro or greater.